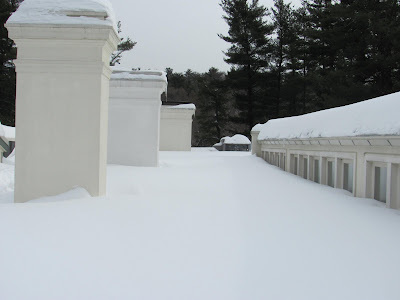 Wadsworth Mansion Blog: Snow on the Roof! 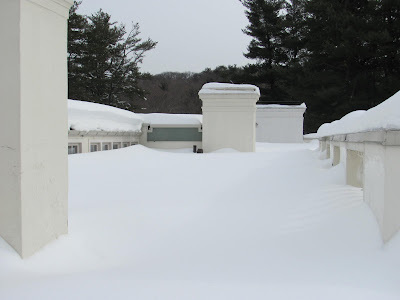 Quite frequently I get asked by people if they can go up on the roof and I have to say that no one is allowed on the roof for safety reasons--not their safety, but for the preservation of the rubber membrane that makes the roof watertight. Today I took some pictures of the snow on the roof before we began the arduous project of removing it. 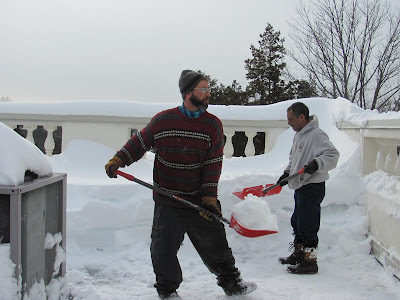 As nearly three feet had accumulated and drifted I thought it prudent to have it removed. Whoa! I can’t see any trace of your roof there. It can probably be mistaken as a street covered with winter snow! LOL. In relation to that, our roofs need extra care during winter. 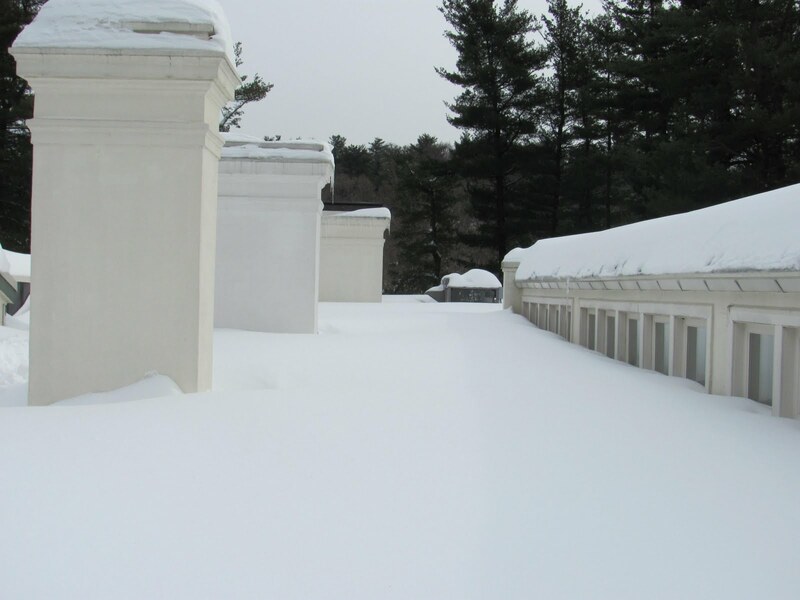 It is advisable that you get your roof checked before the season comes. You have to make sure that your gutters are free of clogs. More importantly, you should check your roof’s support. 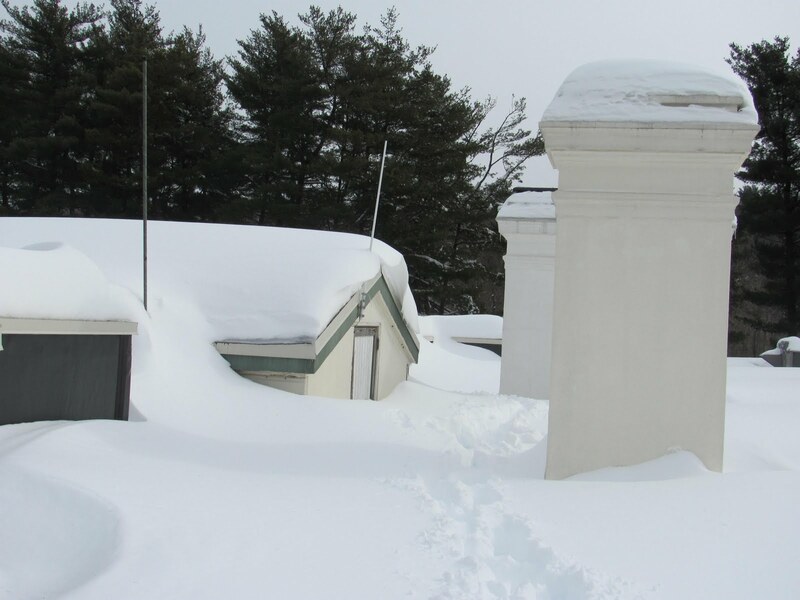 Heavy snow might cause damage to your roof and to the house foundation, so make sure to check the roof and the foundation if they are in good condition.